This may just be me, but when I think of anthology movies I generally think of scary story collections like Creepshow or Trilogy of Terror, so the concept behind New York Stories immediately seemed unusual and intriguing: Three of America’s most respected directors (Martin Scorsese, Francis Ford Coppola and Woody Allen) each contribute an approximately 40-minute short film set against the backdrop of New York City in its 1980s heyday of decadence and crime. One rarely gets to see filmmakers of this caliber working in the medium of shorts, so this whole project had a lot of potential even apart from the fact that Scorsese’s segment, “Life Lessons,” reunited him with his screenwriter collaborator from The Color of Money and “Bad,” Richard Price. Despite the singular nature of New York Stories as a whole, I’m going to focus on “Life Lessons” for most of this post and not talk much about Coppola’s segment, “Life Without Zoe,” or Allen’s, “Oedipus Wrecks,” since neither of those two had anything to do with Price’s contributions. (The only connection between the three shorts, apart from the NYC setting, is actor Paul Herman, who plays a different supporting role in each.) Long story short, I thought “Life Without Zoe” was insufferably precious but found “Oedipus Wrecks” to be an enjoyable, funny example of Allen’s standard comedic style. Anyway, “Life Lessons” focuses on a successful but gruffly neurotic painter, Lionel (Nick Nolte), and his obsession with his beautiful young assistant, Paulette (Rosanna Arquette). Paulette’s decided to cut off the affair they’ve been having but continues to live in Lionel’s cavernous studio space after he assures her that he’ll respect her choice. (“I’m your ally against horse dung and fraud,” he says. “That’s as far as it goes from now on.”) Despite his promises, he can’t help continually falling over himself in desperate attempts to get her back. Like The Color of Money, this short doesn’t deal in the subject matter you might expect from Scorsese and Price, i.e. gritty gang/crime stories. It’s got less in common with The Wanderers or Taxi Driver than it does with Price’s work on the short film “Arena Brains,” which featured Ray Liotta as an artist character who now seems like a prototype for Lionel. But on a less obvious level, Lionel’s hangdog mentality and compulsive joking betray him as kin to many other Price protagonists. Nolte’s a real treat in the role, as the contrast between his imposing, bear-ish figure and the character’s emotional neediness allows Lionel to come off as comical instead of just pathetic and off-putting. And if “Life Lessons” isn’t quintessential Price, it does zero in on a theme that often comes up glancingly in his work: Romantic jealousy. “There ain’t nothin’ like jealousy to get the ol’ juices flowin’,” as Chubby says in Bloodbrothers, and Price’s characters provide frequent illustrations of this rule, from Richie jerking off to a fantasy of his girlfriend being ravaged by racial caricatures in The Wanderers to Peter’s fixation on his girlfriend’s former relationship with her professor in The Breaks to the artistic inspiration Lionel derives from his anxiety about the men Paulette is free to hook up with now that she’s liberated herself from him. 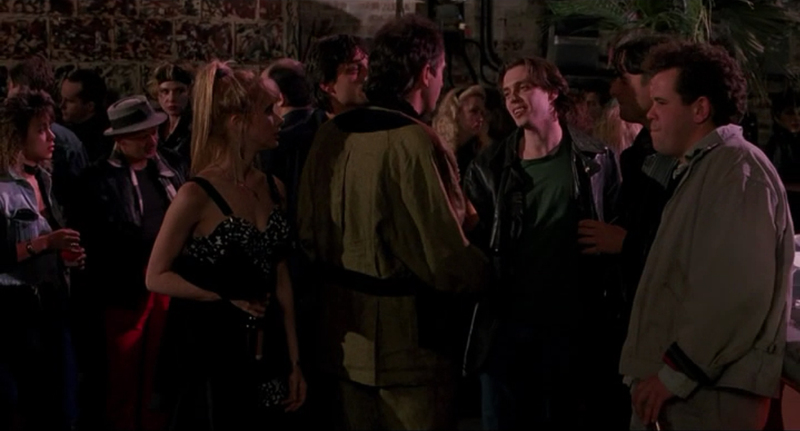 In fact, one of those men, Gregory Stark (Steve Buscemi, who also appeared in “Arena Brains”), illustrates another common Price motif: Stand-up comedy! Actually, Stark, an ex-boyfriend of Paulette’s, is a “performance artist,” but his act just seems to be stand-up of the fourth-wall one-man-show variety; as Lionel says, “What the hell is a performance artist? 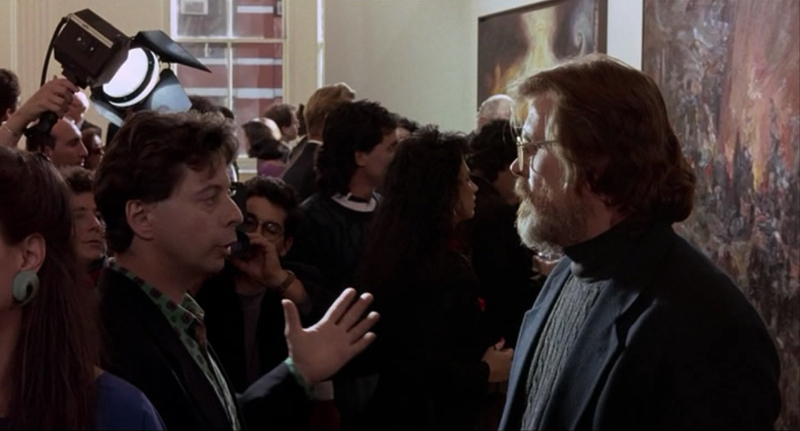 …Do you call the guy that picks up your garbage a sanitary engineer?” We can’t put Stark’s material alongside Peter Keller’s as another example of Price performing vicariously through his characters, though, as Buscemi apparently wrote his own monologue for the film. And Scorsese’s direction keeps the story from ever feeling too talky. The film is filled with energetic stylistic touches, like colorful paint-splatter opening credits, a cartoonish opening camera iris and so much use of Procol Harum’s “A Whiter Shade of Pale” that you’ll be humming it for days after watching. But it all feels vibrant and appropriate rather than exhausting or show-offy. Price and Scorsese made a damn good pair, and it’s a shame this ended up being their last collaboration as writer and director. (Though Scorsese did produce some later Price projects, including the film adaptation of Clockers, which he was originally supposed to direct before handing the project off to Spike Lee). I know an adaptation of Price’s new book is in the works; whaddya say, Marty? Got any room in your schedule? 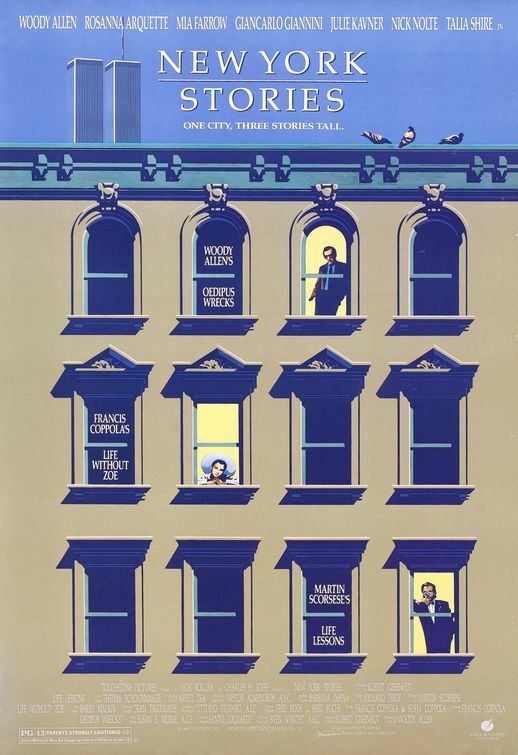 • New York Stories offers another example of the Obligatory Richard Price Cameo, this time in the form of an artist who geeks out about Lionel’s work at a gallery opening. • One more “Arena Brains” connection: Actor Mark Boone Junior, who had a supporting role in that film, shows up very briefly here as well. 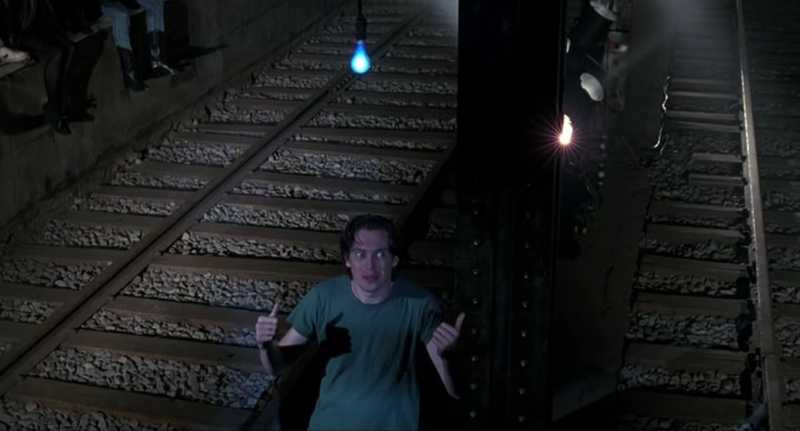 Next week: Richard Price’s fascination with cops and their “backstage pass to the greatest show on earth” begins with the 1989 Al Pacino romantic thriller Sea of Love. This entry was posted in Films and tagged anthology, film, francis ford coppola, martin scorsese, movies, new york city, nick nolte, richard price, steve buscemi, woody allen. Bookmark the permalink.